Are you a unique voice? Do you have a strong hook? Are you willing to roll up your sleeves and get to work? 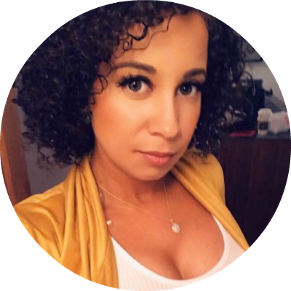 Rebecca and Fallon are both members of Wattpad4 – an online group of writers dedicated to weekly twitter chats and podcasts about writing (craft). They host interviews with some of the biggest names in YA (like Victoria Aveyard, Leigh Bardugo) and have also spoken at conferences like RT, Comic Con, and BOOKCON! Rebecca is a writer, presenter, and book hoarder. In her spare time she serializes stories online. 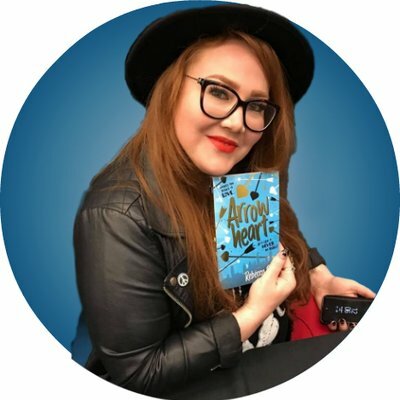 Her work has been read over 20million times on wattpad.com, she was featured in the NYTimes, and her debut ARROWHEART was released June 2018 from Hodder Children’s Books (Hodder brought the world VAMPIRE DIARIES & HOW TO TRAIN YOUR DRAGON & THE SUMMONER SERIES among other awesome books). Fallon is deep in submission trenches with her agent, Jim McCarthy, who she signed with after receiving six offers of rep for her YA Fantasy. She was a top ten finalist in Harlequins’ SO YOU THINK YOU CAN WRITE contest, featured in Cosmo Magazine and twice reviewed by RT book reviews. Fun Fact: RT Book Reviews rated both our stories top 3 romances on Wattpad.com (so, if that doesn't tell you we also like romance, I don't know what will!). We want all of your YA Fantasy (including Spec Fic) & Contemporary, why not mix it up and send us a Contemporary Fantasy. Worlds that reflect ours (read: DIVERSITY)! Bonus if your MS has all the above and is #Ownvoices! We love big concepts, new ideas. Something we haven’t seen before, or if we have—show us a new take. Basically, send us something that excites us. Is your MS High Concept? Can you boil it down to one hooky sentence? We want it! We love antihero(ine)s, conflicted characters, deep angst. Show us the wounded and broken, but still redeemable! Show us bad boys and brutal girls behaving badly (for good reasons) while owning their anger and darkness. But also show us the light at the end of the dark tunnel. We want worlds that we can sink into, places filled with magic, mythical creatures (dragons, griffins and phoenixes – oh my! ), incredible architecture, lush and vivid settings we’ve never seen before, we want to taste the food, marvel at the colors and textures. We want to disappear into the pages and never want to leave. Fallon’s fave worldbuilding: GRRM is a master of his craft. We want voice, emotions, to connect with your heroine/hero from the first page. We’ll be looking at style, tone, atmosphere. We want to feel all the compassion, empathy, comradery, as we read your work. - Child abuse - Stockholm syndrome - Anything that supports white supremacy (slave/master romance, redeemed Nazis, etc.) **if you’re writing outside of your lane you must be open to hiring sensitivity readers. We are passionate about helping talented writers make it to the next level! If we pick you it’s because we BELIEVE in you. We’ll be your coaches and fangirls, but that doesn’t mean we’ll go easy on you. So be prepared to WORK hard, because we can guarantee we will be working hard for you. If you’re looking for a mentor(s) who will help you through this contest and then disappear from your life forever, we’re not your girls. We’re pouring our blood, sweat and tears into your MS, (mostly a figure of speech, but some paper cuts could be involved), and we want to see it through to the end. The End for us is whatever your dream is — landing an agent, a publishing deal, media rights sales! There’s a ton of creative ways to share your work nowadays, and we’re all about getting your work out there. We’re not agents, those are invaluable! But sometimes it's nice to have a writer friend, or two, in your corner. 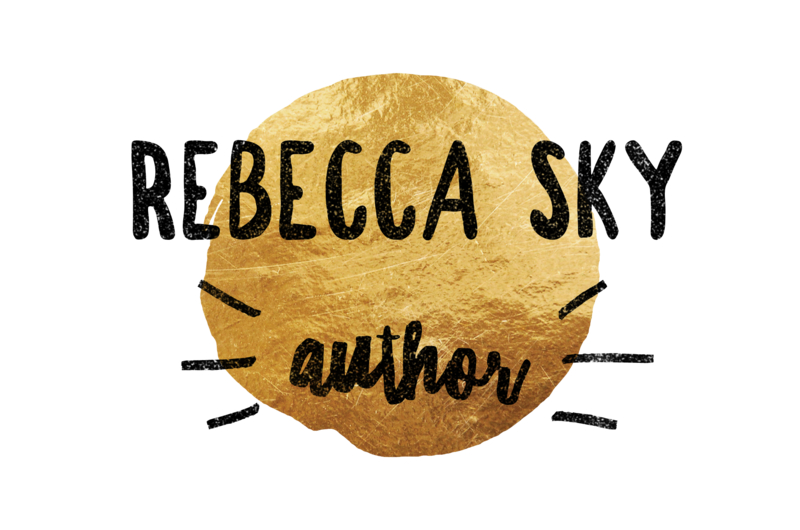 If that hasn’t sold you on TeamFIREHEART (emojis included: 🔥♥️) then we should probably tell you that Rebecca Sky’s past mentees all landed agents! Kayla Rivera from 2015 is currently signed with Pande Literary Agency. Rebecca Schaeffer from 2016 signed with Suzie Townsend from New Leaf after multiple agent offers. Her MS went right on submission (that’s right, no additional edits with her agent), and sold to HMH in a preemptive only a few weeks after the Pitch Wars agent round. She’s kinda a big deal. Read about her in Hollywood Reporter! Kimberly Vale from 2017 received an offer within hours of agent round closing, and signed with Amelia Appel from Triada US. She's now a mentor for 2018 Pitch Wars! Head on over to Fallon’s website for your chance to win a query and first page critique from TeamFireHeart! Authors: Lucy Maud Montgomery (Anne of Green Gables), James Thurber (The Secret Life of Walter Mitty), Laini Taylor (Lips Touch Three Times and everything else), Erin Morgenstern (The Night Circus), Neil Gaiman (American Gods and everything else), Suszanne Collins (Hunger Games), Tahereh Mafi (Shatter Me), Mindy Mcginnis (The Female Of The Species), Joy McCullough (Blood, Water, Paint), Sabaa Tahir (An Ember in the Ashes). Shows/Movies: Labyrinth, Princess Bride, The 100 (the early seasons, once Lincoln died I was heartbroken, and then when Lexa died, I checked out), American Gods, Scandal, Star Trek, The Bachelor/ette (don’t judge, this is my guilty pleasure), Suits, Ice Fantasy, Jane The Virgin (Jane is a writer!). Authors: Leigh Bardugo, Nora Roberts, Iris Johansson, Marie Lu, Kristin Ciccarelli, Zoraida Cordova, Julie Dao, LD Crichton, Elly Blake, George R. R. Martin, Tochi Onyebuchi, Maggie McGinnis, Joy McCullough, JK Rowling, Sally Thorne, the list goes…(I could be here for days). Shows/Movies: Sense8, Outlander, Game of Thrones, Sailor Moon, Lipstick Jungle, Cashmere Mafia, Handmaid’s Tale, Suits, Harlots, The Bold Type, Firefly, Orphan Black, Avatar the last Airbender, Penny Dreadful, to name a few. Stalk us on twitter... especially if you love any of the books/shows we do... come fangirl together... don’t be shy! And remember, that no matter what happens this Pitch Wars, you're awesome for putting yourself and your work out there and chasing those dreams!